Rise for Climate Action San Diego! On September 8, join thousands of San Diegans as we march alongside people in cities around the world to demand that our local leaders commit to building a fossil free world that works for all of us. Join us as we hold our local leaders to account and demand that they walk the talk on climate action. We'll start with a rally at City Hall and will march to the South Embarcadero Park. 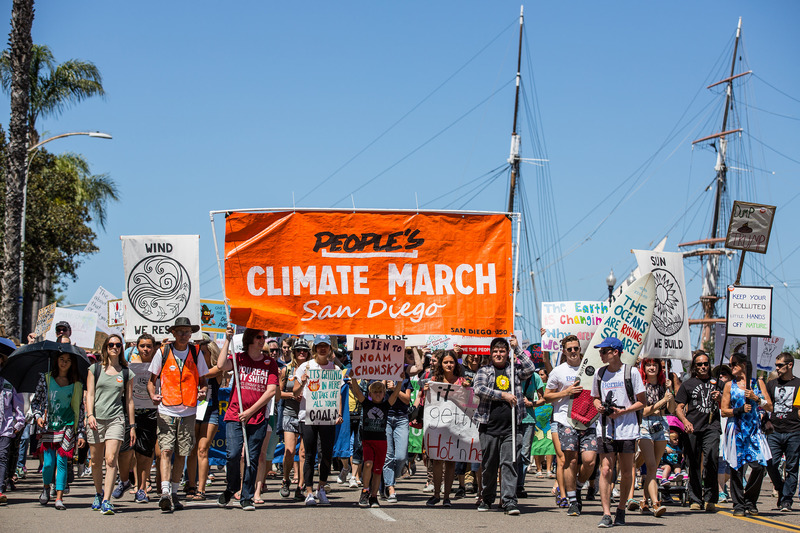 The action will feature day-of actions, live music, chants, amazing visuals, facepainting and information about how you can get involved with groups working on climate solutions in San Diego. A coalition of groups including SanDiego350, Environmental Health Coalition, Alliance San Diego, AFT Guild 1931, UN Association San Diego, Sierra Club San Diego, Indivisible San Diego are meeting to organize this event and dozens of organizations are supporting it. See the Rise for Climate San Diego website for more information about our speakers, musicians, joining the coalition, volunteering and donating. We need volunteers now to help plan and promote the action! Join and share the Facebook page!